How to Bypass Facebook Phone Number Verification & Photo Verification? Facebook has blocked thousands of accounts in the last few months. Ironically, they want their users to upload the government photo ID or a face photograph to verify their identity. They claim that they are doing this for security reasons. Though their reason seems to be genuine, not all people are interested in uploading their ID cards like Bank passbook, driver licence, or any other ID online. Now, this has become a huge problem for Facebook users as they can no longer log in to their Facebook account. Most of the users are clueless and the worst part is Facebook offers no proper phone or email support. This is forcing the blocked users to create new accounts and that’s not the best solution. If you are subscribed to services like Spotify using a Facebook account, you may no longer be able to use them as you cannot log in the Facebook account. In this guide, we’ll share some ways to bypass Facebook phone number verification and government ID or photo verification. We’ve rounded up a few methods which have helped lots of users to get their accounts back. Let’s dive in without waiting any further! 1 Why does Facebook want the users to upload face photo for verification? 3 How to Bypass Facebook Phone Number Verification? 4 What to do if my Facebook account is temporarily blocked? 5 How long does Facebook take to verify my account and remove the block? Why does Facebook want the users to upload face photo for verification? The Facebook book uses an automated face recognition program to verify the photo uploaded by the user is unique. They want to verify the user accounts using the photo to eliminate the suspicious activities. Generally, certain signals trigger online services to trigger the checks. Gmail usually wants to verify the user with an OTP if the account is logged in from an unfamiliar location or device. Facebook uses photo verification as the digital fingerprint. Their automated face recognition software points out if someone else is using the same photo. 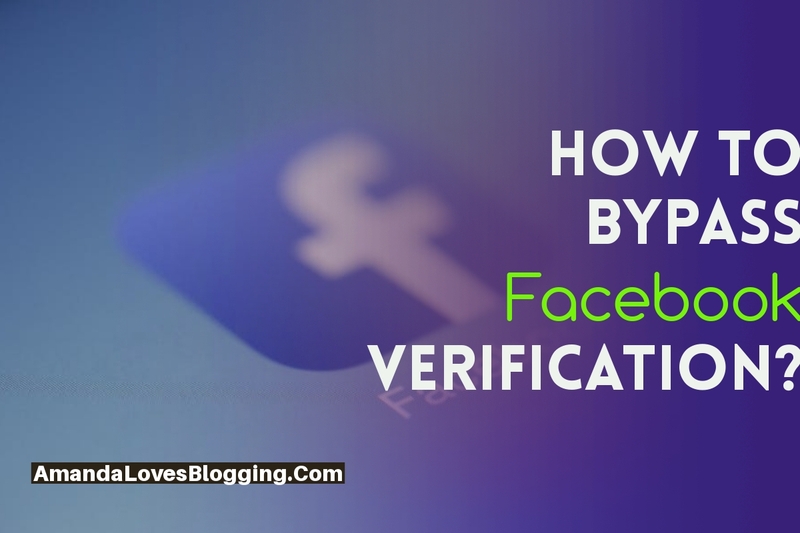 These verifications help Facebook to trace the suspicious activity while setting up ad payments, sending friend requests, creating an account, editing or creating the ads etc. This method works on Android, iOS and Windows platforms. Follow the instructions below to bypass Facebook photo verification. Step 1: You have to download an application called HideMyAss on your mobile. Download HideMyAss or HMA app from Google PlayStore if you using an Android phone or App Store if you are on iOS.HideMyAss is a popular VPN. VPN is a private network that helps you to browse the internet securely and anonymously from anywhere. No matter what websites or apps you visit, HideMyAss can mask your IP address and ensures that your network is private. Step 2: Sign up on HideMyAss app. Purchase their basic plan that costs you $12 per month if you choose monthly billing cycle. If you are lucky, you can get it at $9.99 on special price. Step 3: Log into the application. Step 4: Choose “Japan” on the country screen. You’ll see a list of city servers in Japan. You can choose any server. Step 5: Open Chrome or any browser and open Facebook. Step 6: Facebook asks your date of birth and some other information like the mobile number. Fill the details and tap on Submit button. That’s it. You’ve successfully activated your Facebook account. Facebook checks your data and re-activates your account in 4-7 days. You can use any other quality VPN like Tunnel Bear instead of HideMyAss. Note: Keep in mind that you have to use a strong and unique VPN. Most of the free VPNs fail to bypass Facebook verification. Go for any good VPN like HideMyAss or Tunnerbear. You can use this method even on PC or Mac. 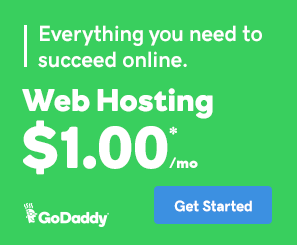 Just go to HideMyAss website and register. Install their application on your computer and follow the same instructions. You can also use Tunnel Bear proxy or Hulu proxy extension for Google Chrome to bypass Facebook photo verification. How to Bypass Facebook Phone Number Verification? Phone number verification is a common practice implemented on most of the websites today to authenticate users. Though it’s a good process to avoid fraudulent activities on Facebook, it’s a bit annoying for users to verify their phone number every time they log in to their account. There is an easy trick to skip Facebook phone verification. Follow the instructions to bypass phone verification step on Facebook. Basically, the phone verification is done through an OTP (One Time Password sent to the mobile and it must be entered on Facebook to log in) or an IVR voice call. Generally, the phone number verification appears when you try to sign in to Facebook from a new device or browser. But, in case if you are not carrying your phone or you lost it, you may not be able to authenticate yourself via Facebook phone verification. However, there are some ways to go through the phone verification step on Facebook. There are a bunch of services on the internet that provides virtual phone numbers. These virtual phone numbers are like fake phone numbers which you can use to bypass the phone verification on any website including Facebook. Here are the steps to create a fake phone number and bypass Facebook phone verification. TextNow is an internet service which provides the virtual phone number. The best thing about TextNow is it’s free. TextNow offers only “Give me a call” feature. You cannot use it for receiving the text messages. Step 1: Go to TextNow.com and register. You’ll get a free phone number from TextNow after signing up. Step 2: Open Facebook.com. On the Phone Verification, Tap on Enter Mobile Number and Enter your TextNow phone number in the textbox. Step 3: Under Confirm number by, choose to Give me a call option. Step 4: Now, you’ll receive a call on your TextNow account. Enter the confirmation code and tap on Confirm button. That’s all! You’ve bypassed the Facebook Phone Verification step using a virtual phone number instead of your real phone number. SMSPVA is a service which provides virtual phone numbers of various countries like Ukraine, UK, Russia, etc. SMSPVA phone numbers can receive the activation code to verify Yahoo, Gmail, Facebook, Outlook accounts. Their charge you the minimal amount ranging anywhere from $0.05 to $0.5 depending on the country. Here are the steps to pass through the Facebook verification step using SMSPVA virtual phone number. Step 1: Go to SMSPVA.com. Register with your email ID. You’ll receive a confirmation email. Confirm your account. Step 2: You have to add balance to be able to receive the activation codes via SMS. Go to your profile and click Balance. Step 3: Go to Add Funds. You’ll see different prices they charge for the different services. Pay the amount as per your requirements. Step 4: Chose the country from which you want the phone number. Select Facebook in the list of services. Step 5: Click on Get Number button. It’ll generate a new phone number within seconds. Copy-paste this number on Facebook phone verification page. Step 6: You’ll receive an activation code on your SMSPVA account. Enter that confirmation code on Facebook and hit Confirm button. What to do if my Facebook account is temporarily blocked? Facebook blocks the accounts temporarily if they trace activities like sending too many friend requests or if you or someone tried signing in the account by entering incorrect password too many times. In this case, you’ll see a message like “You account is temporarily blocked for security reasons“. If your account is temporarily blocked, wait for 24 hours. If you see that your FB account is still blocked, delete browser cookies and cache, and try logging in again. How long does Facebook take to verify my account and remove the block? You have to submit a valid ID to verify your account. Generally, it takes 4 days for them to verify your account and unblock your account. The accounts verification seems to be important for Facebook as they have to avoid suspicious activities in the community. However, it should not be a problem for users. Though Facebook ensures that the photographs and the government IDs instantaneously deleted after verifying the account, many users are not feeling to secure to upload their documents online. Another issue is that some users cannot even access the services for which they have registered using Facebook credentials. It would be great if Facebook brainstorms and workout a wholesome solution to this verification thing. We hope that the methods mentioned in this article have helped you to get back your Facebook account. Keep visiting this blog as we share a few more methods and Facebook tricks in our upcoming posts. If you are struggling to free your account even after executing all the above methods, please let us know by comments.